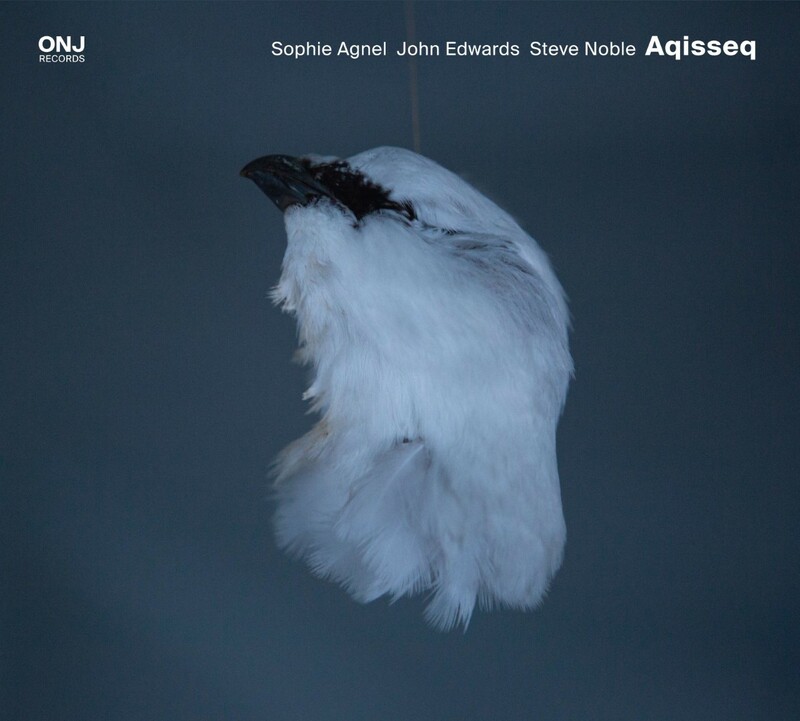 This recording of French pianist Sophie Agnel and British double bass player John Edwards and drummer Steve Noble epitomizes the true essence of free-improvisation. This trio blurs any distinctions between the British, supposedly old- school of free-improvisation and other European, more audacious and abstract schools of free-improvisation. These three musicians are gifted with elephantine ears, ultra-fast instincts. They are confident and fearless, ready to dive deep into the unknown. Still, they play with great focus on detail and precision with no colossal collisions or attempt to structure conventional chord progression. Just be there, fully in the moment and let the sounds - in all forms and shapes - create enigmatic chain reactions of resonant, microtonal sounds and subtle noises. Aqissieq is the second album of this trio. Agnel is known as imaginative explorer of the prepared piano, close collaborator of vocal artist Phil Minton and member of the acclaimed French National Jazz Orchestra (which she left at the end of 2018). Edwards and Noble have accompanied many innovative improvisers, among them reeds players Peter Brötzmann, Evan Parker, Joe McPhee, Lol Coxhill and Akira Sakata. Aqissieq follows Meteo, a concert recorded at the Météo Festival in Mulhouse (Clean Feed, 2013). And captures three extended improvisations of the trio, two from the Brighton Alternative Jazz Festival and the third, brief piece from the Konfrontationen Festival, Nickelsdorf, all recorded in the summer of 2016. The title of the album refers to the Greenlandic words for ptarmigan, a snow grouse the enjoys the fierce, freezing weather of Greenland. Like this bird, Agnel, Edwards and Noble enjoys their very own quiet sonic landscapes, Territories and landscapes that borrow composer Giacinto Scelsi concept of sound - a circle of plenitude with a thick circumference, beyond common, conventional systems. Without the obvious hierarchy of typical piano trio. Where each instrument has total freedom to take the lead, shape, adapt, restore balances and align with the others to the most infinite degree. Each of the pieces - “Aqissit”, “Aqissiaq” and “Aqisseq” - encapsulates a rare, transient moment where sound, intention, intensity, color and shade and imagination briefly unite into a collective, dream-state architecture. In paraphrasing Eric Dolphy immortal words: after it's over, it's gone in the air, but this trio still manages to capture its beautiful magic again and again.